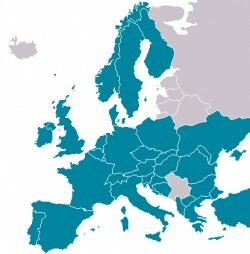 EUROCONTROL, the European Organisation for the Safety of Air Navigation, is an intergovernmental organisation made up of 39 Member States and the European Community. Our primary objective is the development of a seamless, pan-European air traffic management (ATM) system. We contribute to making European aviation safer, performance-driven and environmentally sustainable. 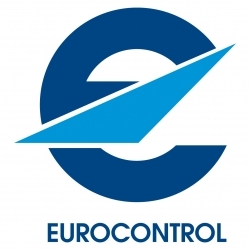 EUROCONTROL was originally founded in 1960 as a civil-military organisation to deal with air traffic control for civil and military users in the upper airspace of its six founding European Member States. EUROCONTROL has developed into a vital European repository of ATM excellence, both leading and supporting ATM improvements across Europe. Today, together with its partners, EUROCONTROL is committed to building a Single European Sky that will deliver the ATM performance required for the twenty-first century and beyond. As the European Organisation for the Safety of Air Navigation, EUROCONTROL initiates, develops, and coordinates pan-European air traffic management strategies and their associated action plans. This is done in a collective effort involving civil and military aviation stakeholders, the European institutions, and international aviation bodies. Since its creation in 1963 EUROCONTROL has achieved increased levels of safety in European air traffic management, and has provided continuous quality service to the aviation community. 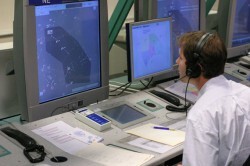 EUROCONTROL's mission is to harmonise and integrate air navigation services in Europe, aiming at the creation of a uniform air traffic management (ATM) system for civil and military users, in order to achieve the safe, secure, orderly, expeditious and economic flow of traffic throughout Europe, while minimising adverse environmental impact. 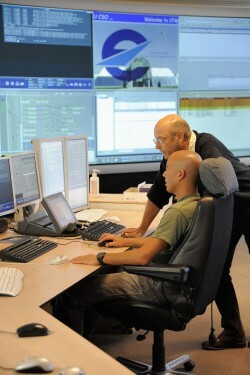 EUROCONTROL is at the heart of the European air traffic management (ATM) system. The Agency coordinates the efforts from air traffic controllers and air navigation service providers (ANSP) to improve the overall performance, safety and sustainability of European air transport. This is why EUROCONTROL’s strategy and objectives are firmly based on the strategic objectives defined for the European air traffic management (ATM) system as a whole. EUROCONTROL’s strategy in enabling a better performing, safer and more sustainable European ATM system follows two axes: the implementation of the Single European Sky, and ATM Network improvement and the delivery of efficient pan-European functions and air traffic control services. In this perspective, the Agency is determined to reinforce industry involvement and to enhance stakeholder partnerships, both of which will result in an improved organisation structure. 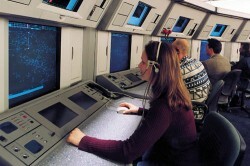 provide air traffic services in the most efficient way. A number of Agency activities is service-driven and generates direct benefits to aviation stakeholders. But a large number of its other activities will only mature properly when deployed in the ATM system by stakeholders. The Agency has, therefore, a dual role of both facilitator and catalyst for improvements. implementation of the initial building blocks of an advanced ATM network in the medium- and long-term.